With the meteoric rise of instant messaging apps like WhatsApp, BBM, and iMessage, the traditional SMS has taken somewhat of a back seat. You'd rarely find people SMSing someone, unless of course, they don't own a smartphone at all. As days go by, the popularity of SMS is steadily declining that might end up making it an obsolete form of communication in the next few years. Having said that, it's not as if SMS has gone completely out of fashion. Not only do many communication apps rely on SMS (for verification purposes) but also, banks and many other organizations prefer communicating with their clients using this system. Despite the declining usage, SMS has taken a rather formal role in communication. These days, you'd rather SMS your colleague or your boss than sending him/her a message on WhatsApp. If you are someone who uses both SMS and instant messaging, you know how annoying it gets when you get an SMS. With a WhatsApp message or an iCloud message, you can choose to ignore messages without being rude. But SMS, it's something you have to get up and respond to every time. This, for someone who sits in front of the computer most of the time, seems like an act of betrayal to the mighty desktop. If you know what I'm talking about, there are a few solutions that will help you read, manage, and send SMSes right from your desktop. Yes, you won't even have to get up from your chair. 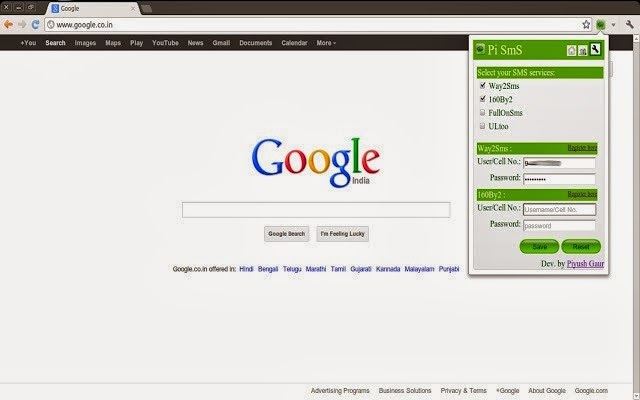 So, for the lazy SMS addict in you, here are some of the best Chrome apps and extensions that let you send and receive SMS from your desktop. AirDroid is a fabulous app, not just for sending SMSes but also for managing your smartphone in general. This shiny-looking app makes you completely cableless so that you can transfer music, photos, and even apps to and from your phone. The application, once installed, emulates a real-looking desktop screen. There, you can check messages, delete the old ones, and even send new messages. And yes, you won't even have to remember the numbers of your contacts. AirDroid features a contact manager that suggests names of the people you want to send messages to. If you're looking for a one-stop solution that lets you do everything from your desktop (including SMS of course) AirDroid should be your best bet. 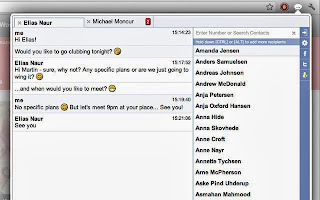 MightyText is an application designed specially for helping you send SMS via your desktop. 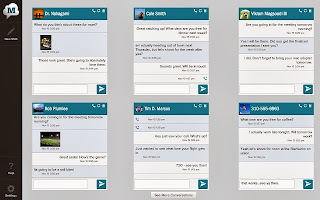 Once installed, it syncs all the messages from your Android device with your computer. 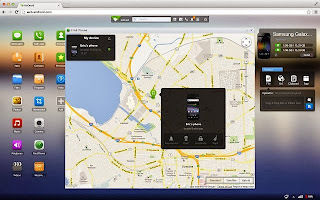 Though the aforementioned Airdroid offers similar functionality, MightyText stands apart from the list of apps in this category with a few unique features. It features a Chrome extension that adds a Compose SMS button to your Gmail inbox. The button sits right below the compose button of Gmail and pops up a neat-looking message window every time you click on it. This is extremely useful for people who spend a lot of time replying to emails and other messages. In short, if you are looking for an app that is specially designed for sending SMSes on your desktop, MightyText is your best bet. 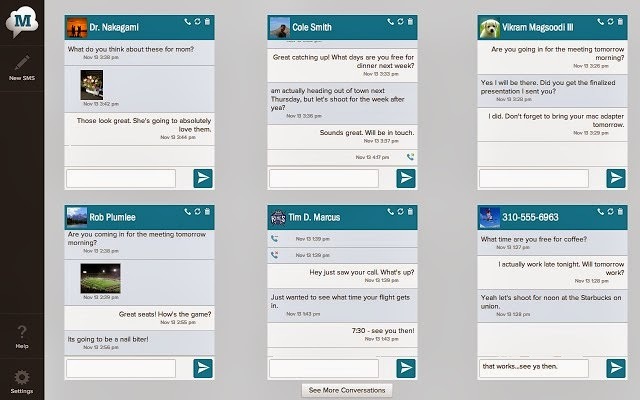 Pi SMS is an extension that lets you make use of free messaging services to send messages to your friends and family right from your desktop. Used best for group messaging and broadcasting, Pi SMS has support for contacts, message delivery notification, and background message delivery. 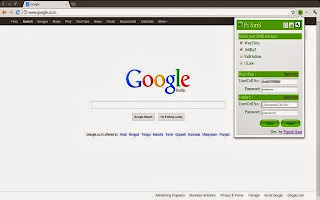 The extension is best suited for Indian users as these services are more popular in India. 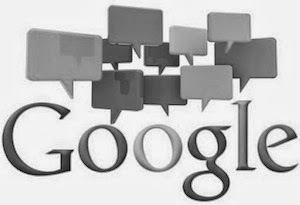 BrowserTexting, as the name suggests, lets you send and receive text messages using just your browser. Once installed, you have to pair your phone with the extension first before sending any messages. 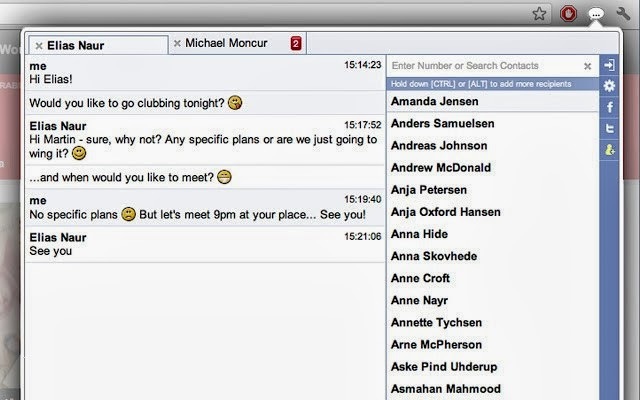 BrowserTexting supports contacts and even notifies you of any incoming messages. One of the best features about BrowserTexting is that it also allows you to send group messages, something that many extensions in this category don't offer.